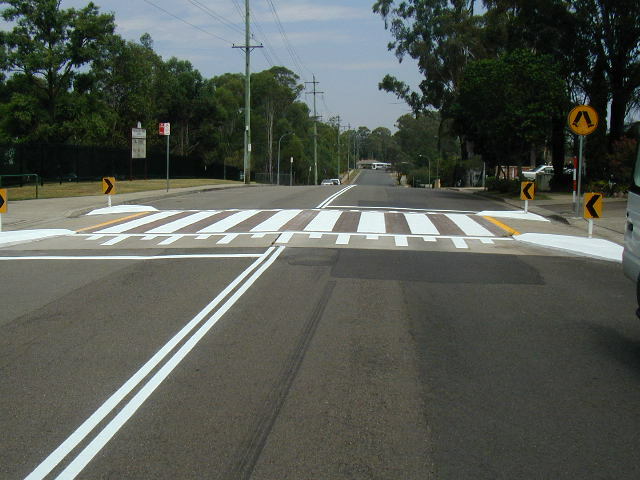 In civil construction, linemarking is usually left till the last minute – the first time we complete a job for you, will be the last time you think that. We are committed to achieving results that gain you greater customer loyalty. Obviously if your clients are pleased with works carried out by your sub-contractors it helps you win future projects. Ultra Linemarking carries all the necessary insurances and tickets to access even the most stringent work sites. Or if you like we can offer supply only and deliver direct to your project. Whether you require turning lanes or round a bouts, pedestrian access or car parking bays we will provide a quality finish. Contact us now to get your obligation free quote! 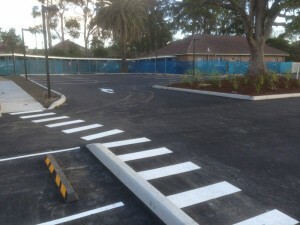 We offer linemarking solutions for roads, carparks, school playgrounds & sports courts. 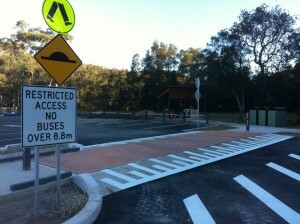 We supply & install of speed humps, wheel stops & signage. "Their performance to date meets the high standards we set for our subcontractors." "Our experience with Ultra Linemarking has been excellent on all accounts." 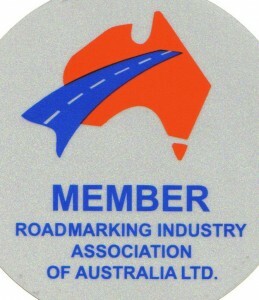 "Their quality of work is always highly regarded." "High standard of workmanship carried out by Ultra Linemarking."